21/01 Patriarshy House. Project "Magic of Art"
15,16/10 Fasano, Italy. 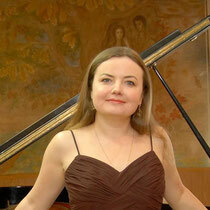 Part in Jury of European Competition "Don Matteo Colucci"
21/01 Moscow. Glinka museum. Project "Magic of Arts"
19/05 Sannicandro di Bari, Italy. Master-classes, recital.